With hundreds of different distributions, each targeting various niches and users, Linux is undoubtedly a very prolific kernel. Being the distro hoppers that I'm sure you are, finding a Linux operating system that could fill almost all your computing needs is the obvious goal. Many feel that they could create a better distro, but few have the skills (or time) necessary to put their ideas into practice. 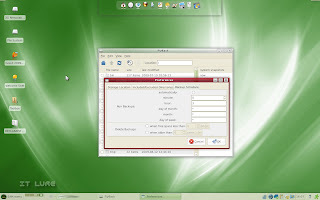 Sure enough, there are some Linuxes out there that let you create "remasters", but what if you would be able to do all the configuration online, in several quick, easy steps and then download your very own, highly customized distro to the HDD or share it with the world? And most importantly, other than some general Linux knowledge, you basically don't need any other real skills. But enough with the introduction. Coming from Novell, SUSE Studio is the name of this interesting new project. 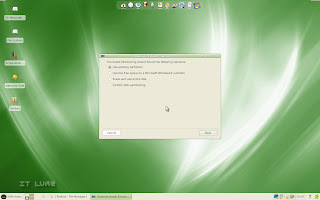 Before getting too excited, I should tell you that you will build on top of a SUSE OS, be it OpenSUSE or SUSE Linux Enterprise, so don't think that you can take Ubuntu, mix it with a teaspoon of Fedora and spice it up with a bit of Slackware. 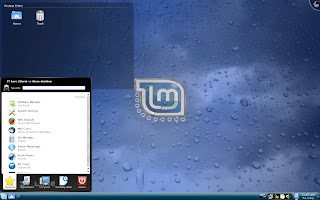 Regardless, this is the easiest way to create a personalized, yet stable and powerful, Linux. The first thing you need to do is create an account, ask for an invitation and pray that it will get approved as soon as possible. Once that's accomplished, you can start building the distro/appliance. 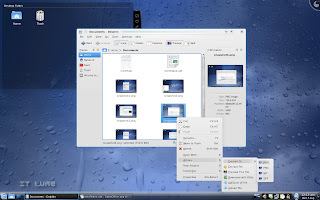 Step 1: choose the base template, ranging from the micro JeOS, all the way to a full-blown KDE 4 environment. 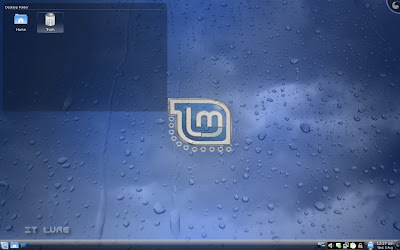 KDE 3, GNOME and IceWM are the other options. 64-bit processors are more and more widespread, so you'll be happy to see support for the superior architecture. Naming your "baby" is the last step on the first page. 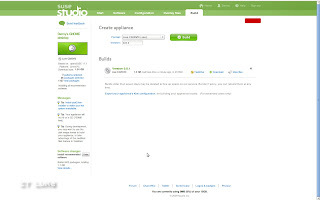 The software selection area displays all the available software in OpenSUSE's 11.1 repositories. You will find almost everything you need in there, and if you don't, you can add third-party repositories and even upload RPM packages to be installed on your system. Cool! On the left-hand side of the screen, you have the current state of your Live CD/DVD: total packages selected, used space and download size. This last one is the most important as you will know when you get over the 700 MB CD ISO limit. If you're lost and don't know what software to choose, you can check the "Always install recommended software" box in the recommended category. In my case, I ended up with a 1.01 GB DVD image. There's also a handy search function, enabling you to find specific applications throughout the repositories. 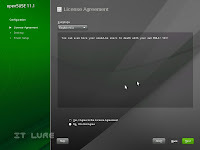 Reading EULAs (End user license agreements) is one of my favorite past-times ever and, upon discovering that SUSE Studio lets me create one from scratch, I became euphoric. OK, I am obviously joking. I have never read an EULA in my life (and neither did you, don't judge me! ), but yes, SUSE Studio gives you the ability to add one in your distro. For server functionality, configuring a MySQL database would be the next step. I skipped it altogether, to then find myself inside the "Desktop" tab. Not much to do here, except opt for automatic login for one of the users and, if necessary, add autostart programs. Beware though, you will have to know the command for launching each program. 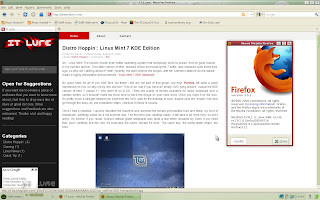 Usually, it's dead simple, like for Pidgin, the command is simply pidgin, or for Firefox... firefox. If you're creating a virtual appliance or a disk image for VirtualBox, you can set the RAM and Virtual Disk sizes in the The "Storage & memory" screen. If you just want the ISO, don't bother with these settings. The same goes for the "Scripts" section; unless you know what you're doing, just move along. But say you also want your most important documents to be copied over to a fresh install of your new distro. Easy as pie! The "Overlay files" tab lets you upload single files to specified directories, that will appear in your installation. If you have a folder, simply create an archive out of it, and SUSE Studio will extract it during the installation process. Finally, select the format of your distro/appliance and click "Build". My 1.01 GB DVD ISO was complete and ready for download after 45 minutes. Three hours later (sucky servers + sucky Internet connection = 1 GB in 3 hours) I successfully booted the OS into VirtualBox. 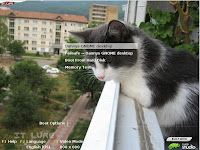 All my favorite applications were there, Pidgin popped up at start-up and my cat (Pinky's the name) earned his geek bragging rights for the day by appearing on the login screen of a Linux distro. Oh, if you choose to create a disk image, you can "Testdrive" the OS right from inside the browser. Awesome, awesome stuff. SUSE Studio is great in many respects, but especially if you need to deploy a customized desktop or server on multiple machines. Configure it once, use it as many times as you need. 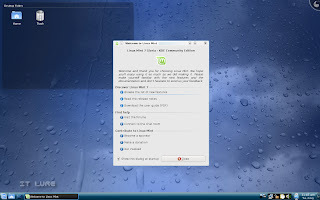 Sure, if you don't like SUSE, you won't like the custom distro either. I'm not much of a fan myself, but I do find the whole idea interesting and, more importantly, useful. Apply for an account right here. In a world full of Twitter, Facebook, MySpace, YouTube, StumbleUpon and countless other online timewasters, it's extremely easy to let your mind wander to places totally unrelated to actual work. Maybe you're a blogger, maybe you're a short story writer, maybe you are a news editor; whichever the case may be, you NEED to write. I usually do my text editing in simple programs, like Gedit and I've been pretty happy with it so far. Until I met TextRoom. 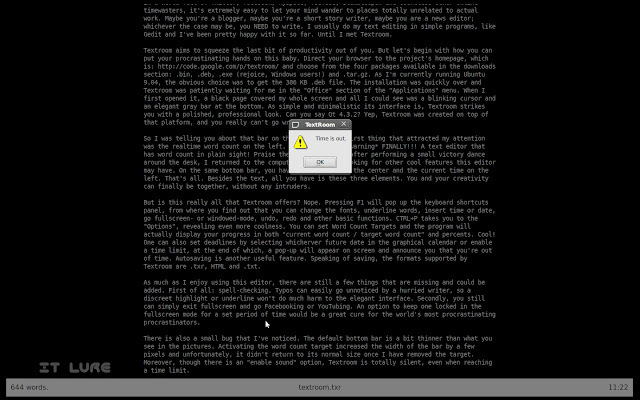 TextRoom aims to squeeze the last bit of productivity out of you. But let's begin with how you can put your procrastinating hands on this baby. Direct your browser to the project's homepage and choose from the four packages available in the downloads section: .bin, .deb, .exe (rejoice, Windows users!) and .tar.gz. As I'm currently running Ubuntu 9.04, the obvious choice was to get the 386 KB .deb file. 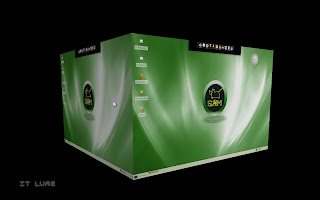 The installation was quickly over and TextRoom was patiently waiting for me in the "Office" section of the "Applications" menu. When I first opened it, a black page covered the whole screen and all I could see was a blinking cursor and an elegant gray bar at the bottom. As simple and minimalistic its interface is, TextRoom strikes you with a polished, professional look. Can you say Qt 4.3.2? 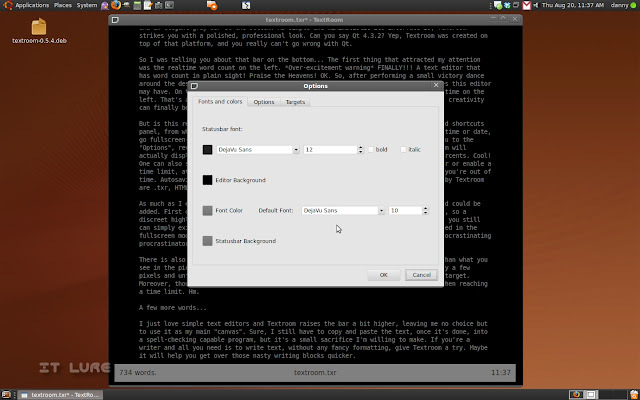 Yep, TextRoom was created on top of that platform, and you really can't go wrong with Qt. So I was telling you about that bar on the bottom... The first thing that attracted my attention was the realtime word count on the left. *Over-excitement warning* FINALLY!!! 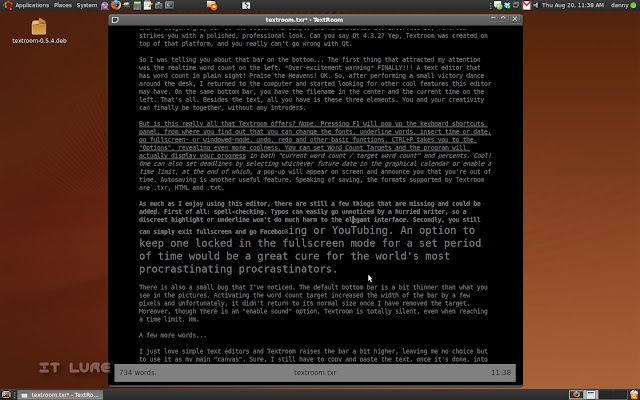 A text editor that has word count in plain sight! Praise the Heavens! OK. So, after performing a small victory dance around the desk, I returned to the computer and started looking for other cool features this editor may have. On the same bottom bar, you have the filename in the center and the current time on the left. That's all. Besides the text, all you have is these three elements. You and your creativity can finally be together, without any intruders. But is this really all that TextRoom offers? Nope. Pressing F1 will pop up the keyboard shortcuts panel, from where you find out that you can change the fonts, underline words, insert time or date, go fullscreen- or windowed-mode, undo, redo and other basic functions. CTRL+P takes you to the "Options", revealing even more coolness. You can set Word Count Targets and the program will actually display your progress in both "current word count / target word count" and percents. Cool! One can also set deadlines by selecting whichever future date in the graphical calendar or enable a time limit, at the end of which, a pop-up will appear on screen and announce you that you're out of time. Autosaving is another useful feature. 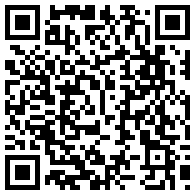 Speaking of saving, the formats supported by TextRoom are .txr, HTML and .txt. As much as I enjoy using this editor, there are still a few things that are missing and could be added. First of all: spell-checking. Typos can easily go unnoticed by a hurried writer, so a discreet highlight or underline won't do much harm to the elegant interface. Secondly, you still can simply exit fullscreen and go Facebooking or YouTubing. An option to keep one locked in the fullscreen mode for a set period of time would be a great cure for the world's most procrastinating procrastinators. There is also a small bug that I've noticed. The default bottom bar is a bit thinner than what you see in the pictures. Activating the word count target increased the width of the bar by a few pixels and unfortunately, it didn't return to its normal size once I have removed the target. 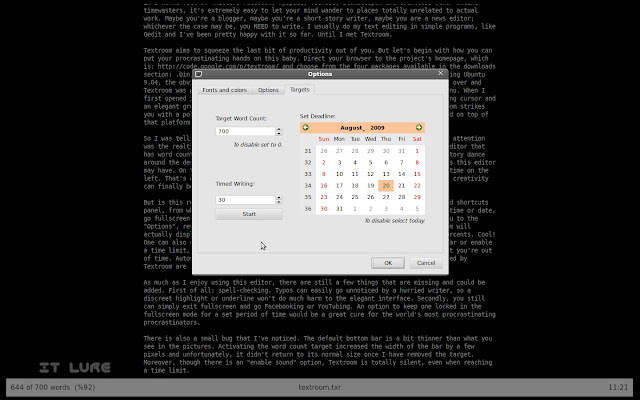 Moreover, though there is an "enable sound" option, TextRoom is totally silent, even when reaching a time limit. Hm. 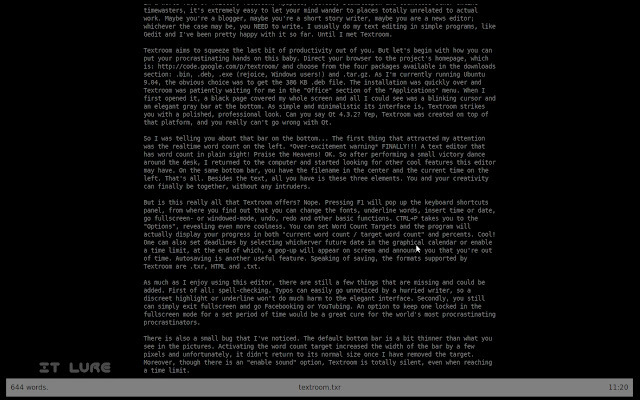 I just love simple text editors and TextRoom raises the bar a bit higher, leaving me no choice but to use it as my main "canvas". Sure, I still have to copy and paste the text, once it's done, into a spell-checking capable program, but it's a small sacrifice I'm willing to make. 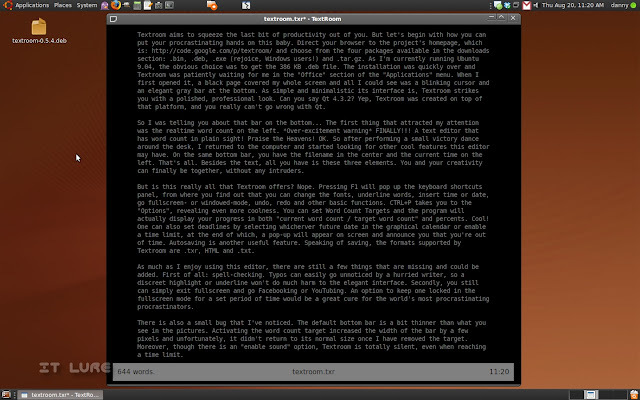 If you're a writer and all you need is to write text, without any fancy formatting, give TextRoom a try. Maybe it will help you get over those nasty writer's blocks quicker. Hello dear readers, and welcome to another exciting (at least for me) Distro Hoppin` adventure. 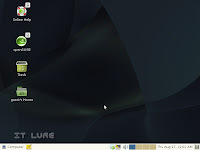 You've most likely seen the title, so you know I'm going to share a bit of my experiences and opinions on SAM Linux 2009. Aaanyway... PCLinuxOS is a truly well done Linux distribution, I'm sure you all agree, so SAM sounded good from the very beginning. It benefits from a Live environment, as 99% of Linuxes do today thus, the first contact with it took place straight on the optical disc. To be able to access the desktop, you will have to guess that the password for the guest user is "guest". Sure, you don't need a diploma for that, but newbies might get confused. Live environments should, in my humble opinion, be loaded automatically, skipping the login part. First problem: I couldn't connect to the Internet. I clicked the icon in the notification area, typed in my password, clicked again on connect and... nothing. After several tries, I decided it's best to restart the system and try again. Happily, after doing that, it connected automatically. Yay! Internet FTW! Ahem. The first thing that caught my attention was the "Welcome SAM" icon on the desktop, which acts both as a decent tour of the distro and a quick installation guide. 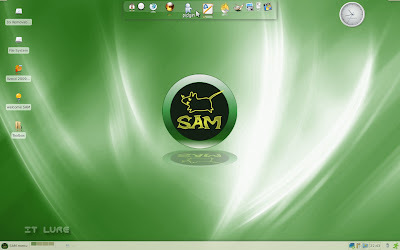 There I found out that the "Install SAM" shortcut was inside the Toolbox folder on the desktop, along with Live USB Maker, SAM IRC Channel (which doesn't work - "Failed to execute child process "xchat" (No such file or directory)." :) ), Video settings and, again, the Welcome thingy. I went ahead for the installation, by typing in the root password, which is "root" and quickly found out that if you minimize/maximize the window, it closes altogether, so you have to open it again (yes, that includes canceling the ongoing installation). Weird! Moreover, it "steals" focus (during the first few steps) from all other windows, leaving you unable to use the keyboard, for, say... writing an article. :) But if you roll it up (click the arrow pointing up), it starts to behave and lets you take control. As I arrived to the partition setup screen, I noticed that, though not enabled by default, I could select the Ext4 filesystem from the drop-down list, so I said, why not? Ext4 has served me well until now. Unfortunately, after many retries and restarts, SAM would continue to give a mount error, thus the installation couldn't continue. As I soon realized, it only supports ext3 (and maybe others, but not ext4). Once that was out of the way, it went on with the process and in about ten minutes, the system was installed and the grub configuration window popped up. I left those settings as default and restarted the mean machine, anxious to see how this operating system performs. Before the system was fully loaded, I added an user and chose a root password. The desktop welcomes you with a nice, clean, green wallpaper, a pretty dock-like bar (wbar) that sits on the top and an elegant analogue clock screenlet. Though pretty, wBar has a few visual bugs here and there. Whenever you log in your account, it will be surrounded by a black box. To get rid of it, just right click and it will disappear; certainly, much better without it. I also noticed, in the top left and right corners, two white lines. At first I thought they were simply some crazy graphical artifacts, but when I hovered the mouse pointer over them, I was proven wrong. The left one is actually the screenshot tool, a handy addition, and on the right, a "Swiss army knife" lets you configure the wbar, the screenlets and change the wallpaper. Well, in this case I'm not too happy about its placement. Why, you ask? I tend to run most of my applications maximized, so I'm used to going straight to the top and clicking the X button whenever I want to close them, without actually looking where the mouse's going, as I know it will land on the X. Well, with the toolbox thingy there, I have to be more careful with the movement of the pointer. But anyway, everything is customizable, so you can place it on the bottom panel, for example, or just remove it. Speaking of the bottom panel, I looked and looked for the volume icon, but couldn't find it, so I had to add it myself. This really should have been enabled by default. On the flip side, I noticed the awesome Parcellite clipboard manager tool, ready to gather all your text copying actions. 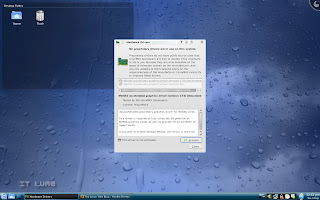 The Xfce desktop environment is at its latest, 4.6.1, version, keeping in tone with the overall up-to-date SAM. The software selection is where this distribution really manages to make me happy: Firefox 3.5.1, Pidgin 2.5.8, Mobile Media Converter (you will LOVE this if you watch movies on the go), VLC Media Player, Kino or Opera 9.64. For office tasks, Abiword is provided by default and should handle most of the things it's fed just fine. If you're more of an OpenOffice guy/gal, you can open up the Synaptic package manager and look for it. What you will find is not the complete package, but a bash script that will download and install the suite for you. Unfortunately, a server error didn't allow for the script to be installed, so I couldn't get OOo on SAM. Even though I'm running a lightweight desktop environment, it doesn't mean I can't let myself enjoy some eye-candy from time to time. But to do that, I needed the NVIDIA proprietary graphics drivers to be installed. The hardware configuration area didn't help me much so I went back to Synaptic and querried for "nvidia". Sure enough, I found the corresponding drivers for my FX5500 and downloaded them. Fortunately, I didn't have to get my hands dirty and modify the Xorg.conf file in order to activate them, so a logout/login later, my computer was NVIDIA-powered. 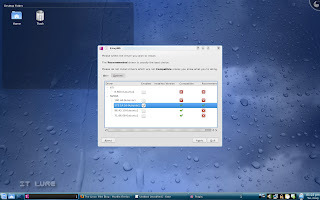 I opened the PCLinuxOS control center, went to the Hardware tab, clicked the "Configure 3D Desktop effects" button, chose Compiz and it told me I had to logout yet again. I accepted and when I returned, not only did the windows wobble and the menus jiggle, but the window decorations were also replaced by the ones from Emerald. And surprisingly, SAM remained stable and responsive. But what about hardware support, Danny? Well, I'm happy to report that, through the great bundled HP utility, I managed to setup and configure my Deskjet 3940 printer in no time. Sadly though, I've yet to find a Linux distribution in which the printer would perform as well as it does on Windows with the drivers from HP. Printing in draft mode is horrible and the normal mode is painfully slow. I've also noticed some Lexmark and Epson software in SAM, but you can always use CUPS. The Canon A550 digital camera was recognized immediately and I was offered to import the photos stored on it with gtkam. In the repositories I found Skype and installed it, just to see if the mic input works properly out of the box. 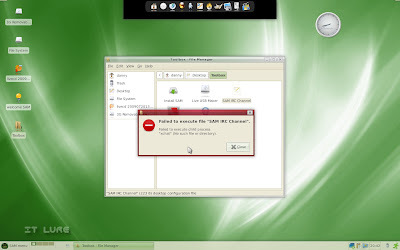 Happily, I was heard crystal clear on the other end of the "line", whereas with Ubuntu, for example, one has to make some tweaking before using the popular VoIP software. SAM 2009 also comes with a quite interesting backup utility, called Flyback, which lets you schedule backups for selected folders on your HDD. Most multimedia files, be they audio or video, play fine in SAM, as it comes with all the codecs you need. Well, if you like trying out new distributions, certainly give SAM a spin. Despite its problems, it brings forward some original elements that separate it from the crowd. Plus, it is packed with the latest and greatest software. I'm very curious about how the next release will be though, as the developers said that SAM 2009 is the last version using the PCLinuxOS base. Download SAM Linux 2009 here!